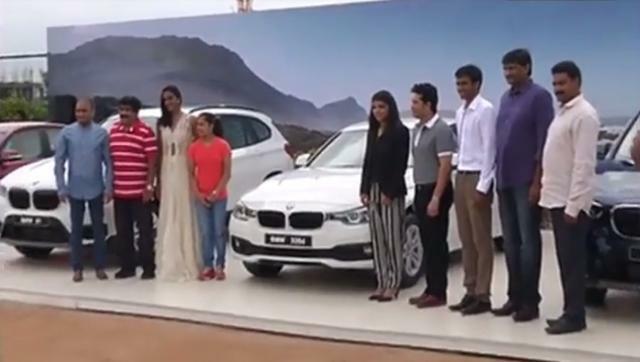 Adding more scoops to their now flourishing days, PV Sindhu, Sakshi Mailk, Dipa Karmakar and Pullela Gopichand were presented BMW by the master blaster Sachin Tendulkar today in Hyderabad. 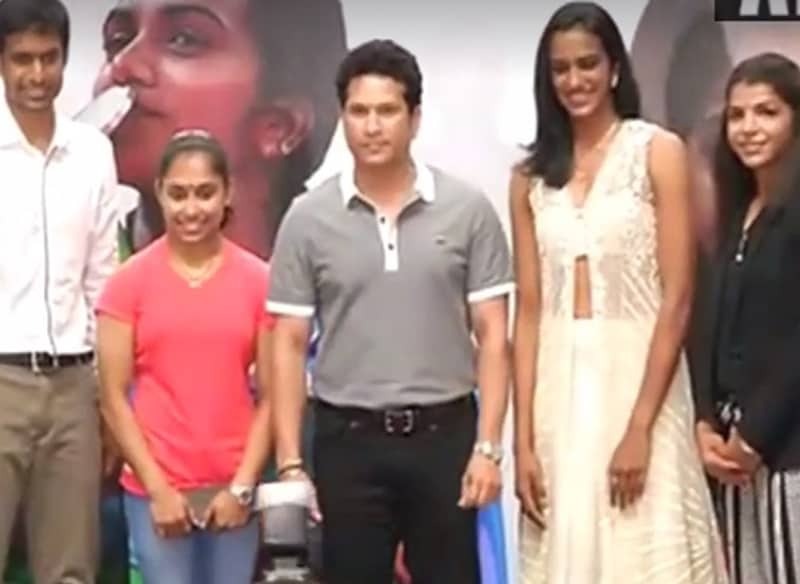 Sachin handed over the keys to the players at the Gopichand badminton academy. PV Sindhu bagged the silver medal in women’s badminton singles becoming the first Indian woman sportsperson to win a silver at the Olympics. Wrestler Sakshi also bagged a bronze in women’s freestyle 58kg class. Though Dipa Karmakar missed a medal by a whisker, her attempt at the “death vault” Produnova stunned the world, as she finished fourth in the vault event.